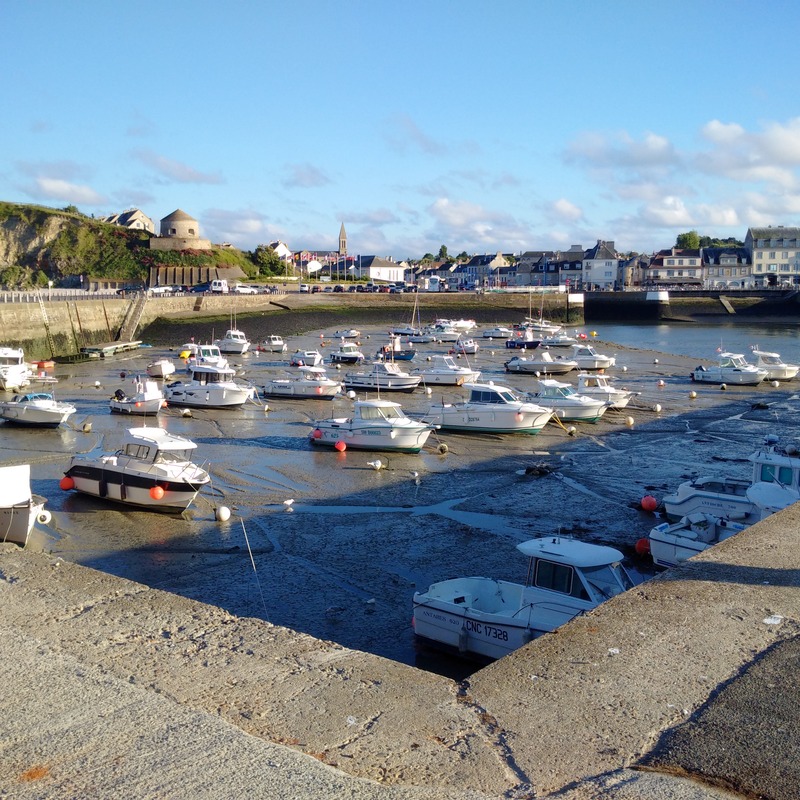 I took a walk to the Port-en-Bessin harbour wall to see the ‘lie of the land’ at low water so as to judge the best course to take out of the place should the gates have opened earlier than the published time for at 10.35am this morning, which is often the case. In fact it was just after the published time that the gates opened and then later still before we could edge ourselves into the queue of fishing boats all anxious to get out and start working. I had noted the times we were due at various waypoints and this told me that we kept falling behind our schedule to arrive at 1.15pm, the time that I believed that we had to be at Ouistrehem Lock. I cut as many corners as I could do safely to keep on schedule and then accelerated several times to ensure we arrived on time. I did this only to find out that that the time specified was for the exit lock to the sea and the one to go inland was 30 mins later, such that we could have relaxed and gone in our own time after all! 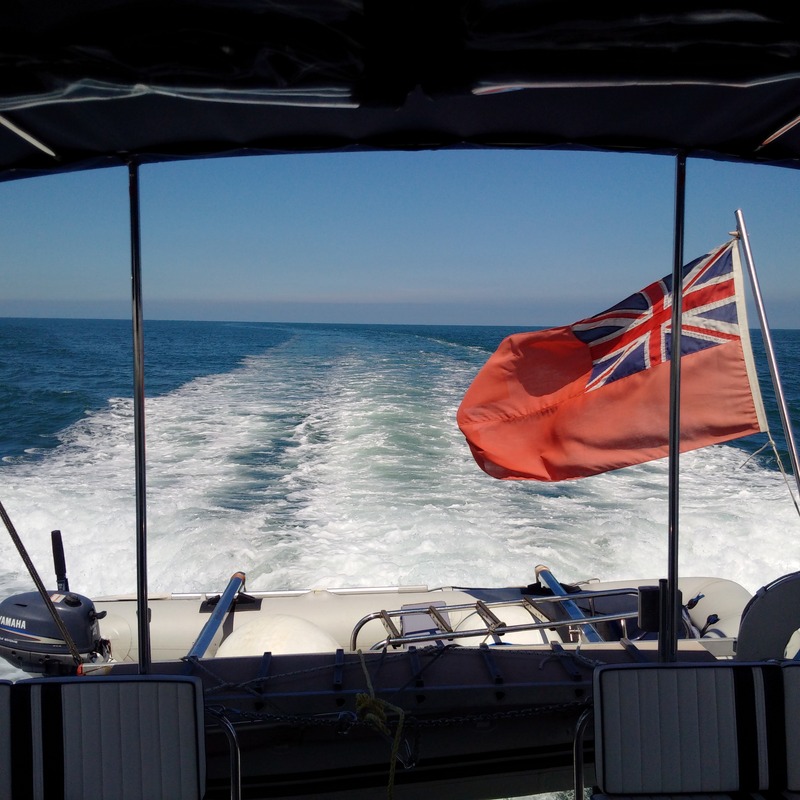 Nevertheless, it was nice to open up the engines again and have a fast end to the passage and so we just moored up at the pontoon to wait. The wind and tide had strengthened as we locked through Ouistrehem as the only boat and then started making our way up the Orme Canal. 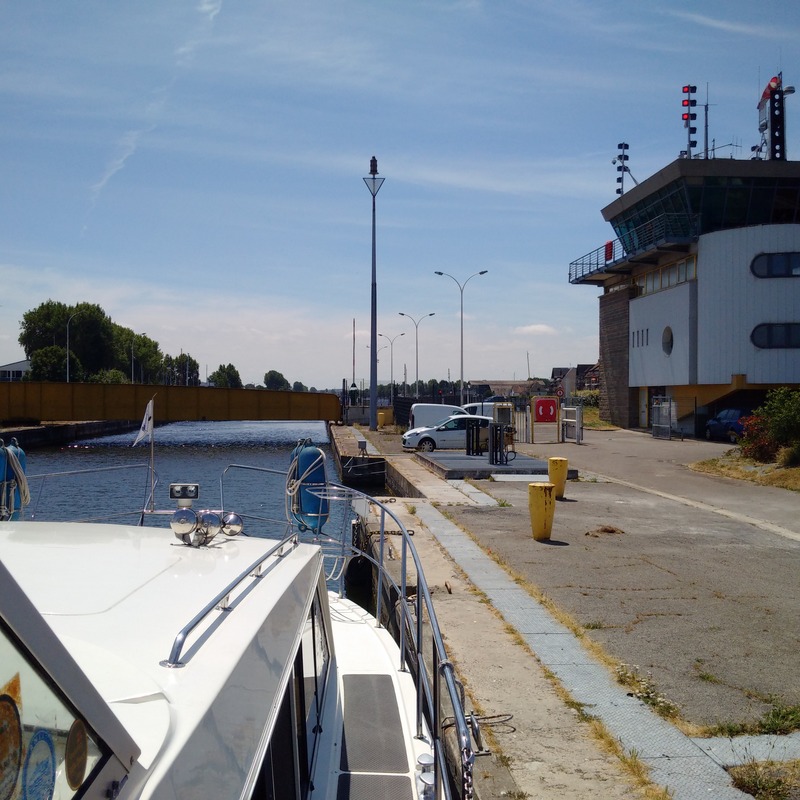 The next ‘convoy’ for going through the bridges was not due to start at Pegasus bridge until 4.30pm and so we had two hours and so I stopped at my favourite mooring downstream of that bridge and we visited the Pegasus Bridge memorial museum. We had a very good tour hosted by long-term guide Margaret who told the story with true respect and fondness for she has started her working career here and then came back later and has never left since. She had met all of the Veterans of the Airborne Division who had since passed away, we think, and she related very many of the stories that they had told her. Also those of one of the two German soldiers who were guarding the bridge when we attacked, the other 20 sleeping in a nearby block-house after a birthday celebration that night. Aged only 18, he ran and saved himself at the time, hiding in a tree of two days before surrendering. The most poignant anecdote she told us was of a 97-year-old who confessed to having shot three surrendering German soldiers on another occasion after having his close friend shot through the eye next to him and the poor chap had sought her forgiveness and understanding after 70 years of guilt, which she found to be a very humbling experience. We were so taken with the visit that we followed the guide to see the Horsa replica glider and the grounds and so stayed much later than would have been in time for that bridge convoy and therefore decided to stay the night at those moorings. After our museum visit, we walked over to the Pegasus Bridge café for refreshment. The daughter of the original owner who was there on June 6th 1944 when it was the first hosue liberated still runs the place and, after she had served another couple, I said ‘You are still here then?’ and she replied, ‘I hope so’ and the couple said, ‘ have you been here a long time?’ and she said, ‘quite a while’ and I said to them, ‘She was here as a young girl when they all arrived on D day’ and she asserted, ‘I am still a young girl now!’ and of course I agreed.